Where new or better commuter bus service has been implemented through toll funding, a new report to be presented Thursday finds ridership has generally increased. 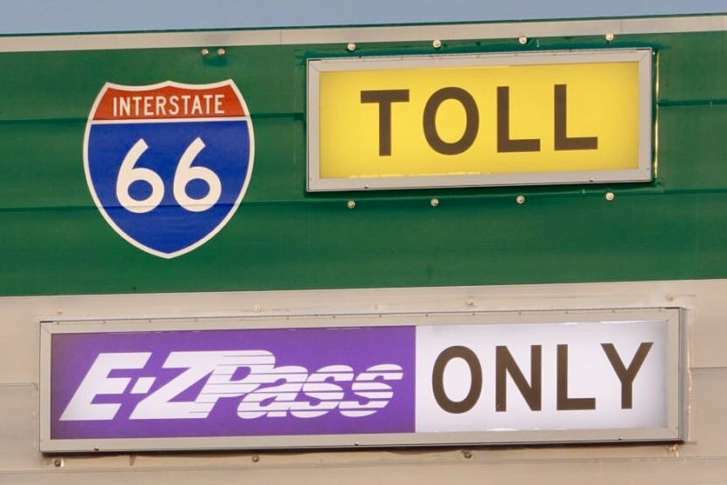 WASHINGTON — Interstate 66 tolls were supposed to drive more people to carpool or take transit, but six months in, there is no solid data on whether that effort is working. While new VDOT data on the road’s performance since HOV hours expanded and tolls for solo drivers began in December showed decidedly mixed results on traffic, with slowdowns at some parts of rush hour, Northern Virginia Transportation Commission data on transit use so far suggests many commuter buses at least are reporting more consistent rides since tolling began. Where new or better commuter bus service has been implemented through toll funding, the report to be presented Thursday finds ridership has generally increased. Where those options have not been implemented, people still have reliability concerns or buses still sit in traffic, ridership has decreased in line with regionwide trends. That includes declines for local Metrobus and Arlington ART bus routes. The tolls appeared to have the largest direct boost for PRTC OmniRide ridership between the Manassas and Gainesville areas and the Pentagon, because the buses shaved up to 15 minutes off trip times with a more direct route. Several hundred more people each day are taking those buses, a 32 percent increase from February 2017 to February 2018. There is no clear data on the impact of tolls and other changes for other routes, in part because commutes are about routines that people build their lives around, so it could take several years to see certain impacts. “A ramp-up in demand [for bus service] is expected in the coming years,” the NVTC report said. Better data and answers may not come for months or years. Current estimates that about 40 percent of rush-hour commuters along the I-66 corridor inside the Beltway take transit are based on a 2015 Transportation Planning Board study. The next similar survey is planned in 2019 with funding from VDOT. The vast majority of the 2015 transit riders used Metro, but Metro ridership has declined since 2015, and tolling did not appear to be driving it back up. Comparing February 2018 with February 2017, Metrorail ridership in Virginia increased 4 percent, in line with a rebound from 2017’s major Metro track work. Many of the Metro declines in recent years have been at off-hours, but separate Northern Virginia Transportation Commission data show overall ridership remains far below the numbers seen before regular round-the-clock track work began in 2016. In April of this year — typically a busy month for the Metro system, with cherry blossoms and spring break tourists — the weekday average use of Virginia stations was down 6 percent compared with two years ago. Saturday average ridership is nearly flat, but with service reductions and single-tracking, Sunday ridership is down 19 percent compared with 2016. Metrobus ridership has continued declines, down 9 percent on weekdays from last year and 18 percent from 2016. Some of those declines can be linked to Metrobus services taken over by local transit providers or service cuts, but most mirror regionwide bus ridership declines. Weekday Metro parking garage usage is also generally lower in Virginia in the first four months of this year, compared with the same period in 2016. Van Dorn Street and East Falls Church remain crowded, while West Falls Church and Franconia-Springfield have the largest proportion of spaces available. The NVTC report noted that transit ridership in the I-66 corridor inside the beltway is “largely dictated by regional transit ridership trends. … There is insufficient data to disentangle the effect of tolling on transit ridership from these larger trends,” the report said.